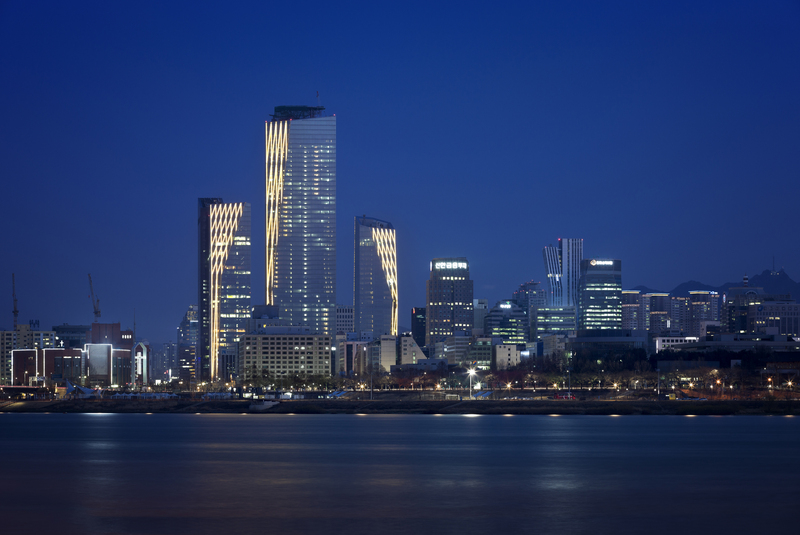 This major commercial development of 507,075m2 is located in the heart of Seoul, and contains three 29-55 story office towers, a 434-room 5-star hotel, and a major underground retail mall with connections to public transport systems. 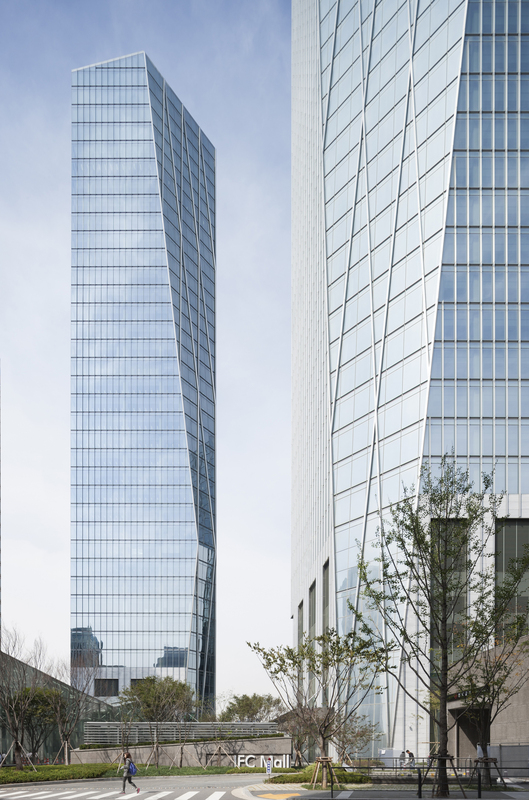 The client’s Seoul Headquarters is located in the north-east tower. The design’s site plan emphasizes an efficient circulation between the towers and the mall, while at the same time drawing the buildings together in a lush, green environment. 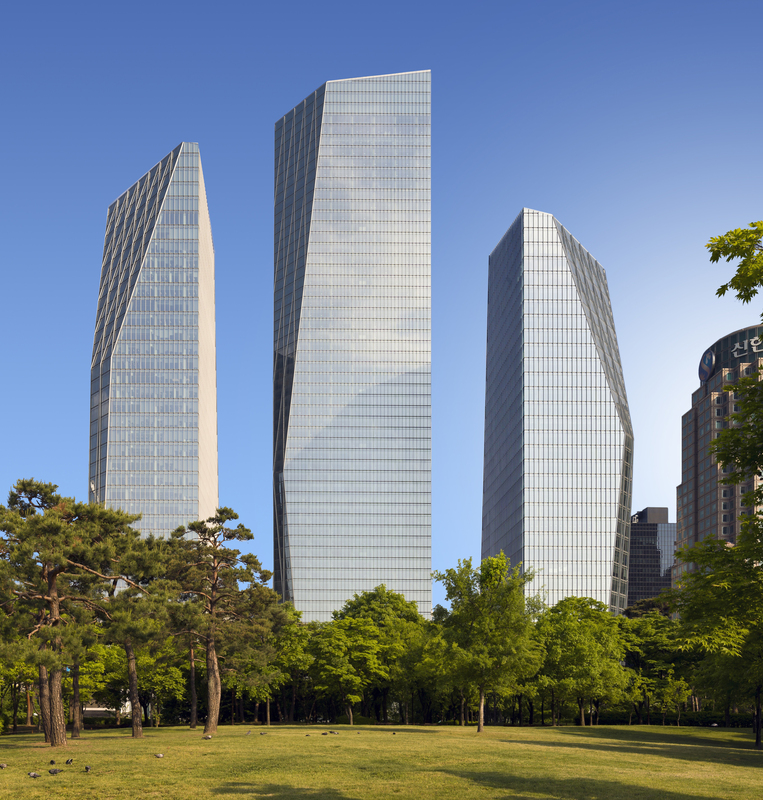 The tower forms are derived from efficient rectangular floor-plates with shallow chamfers at the corners, thereby creating an image of dynamic crystals rising up from the ground, and forming a unique image against the Seoul skyline. 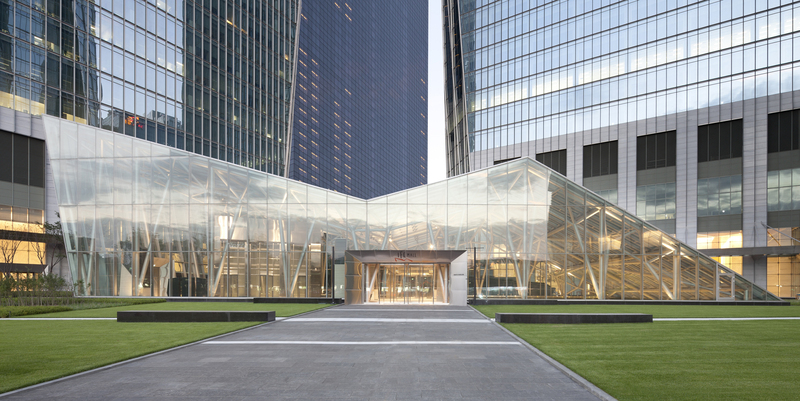 The complex becomes a new hub for the financial, securities and insurance companies concentrated in Seoul. 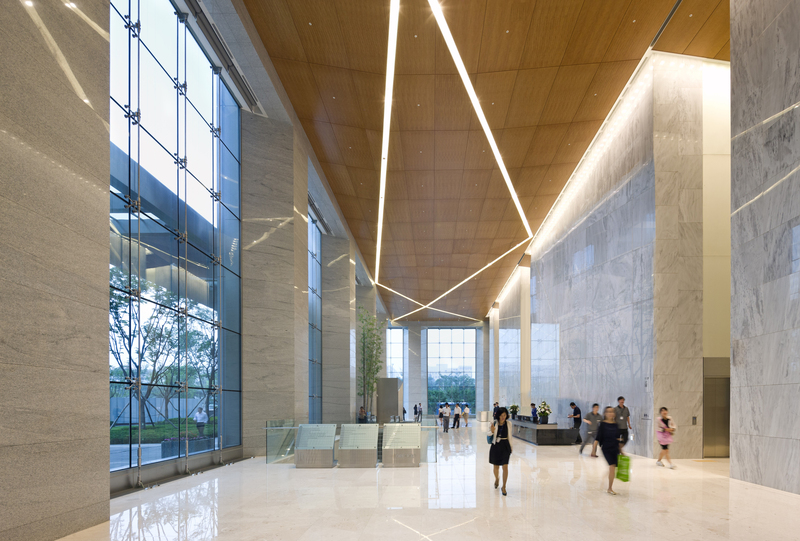 It features three international A-grade commercial office towers, a five-star hotel, three-level luxury retail mall, megaplex cinema complex, fine dining and drinking establishments and significant new outdoor public spaces. 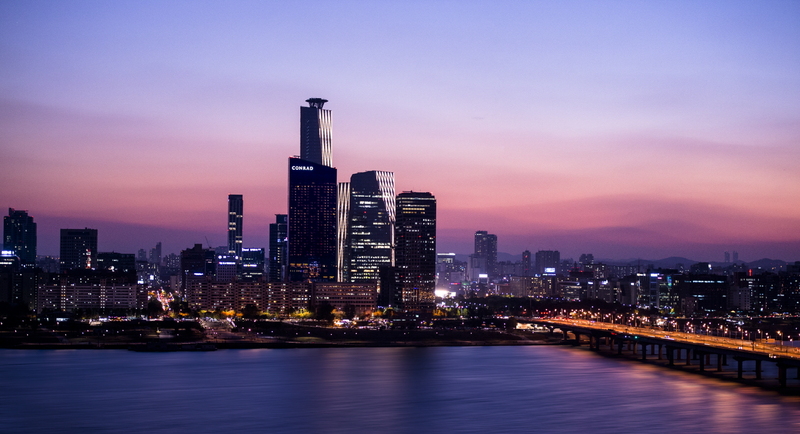 The site is located at the center of Yeouido Island, and serves as a major pedestrian link between the subway station and Riverside and Yeouido Plaza Park.